I have recently invested a lot of capital into my portfolio. This has caused my monthly dividends to grow month to month at a nice pace. June is a heavier paying month for me along with July. My light paying months are in the month of 2, 5, 8, and 11. I do not hold many companies in my portfolio that pay on those months. I focus mostly on my quarter dividend moving average. 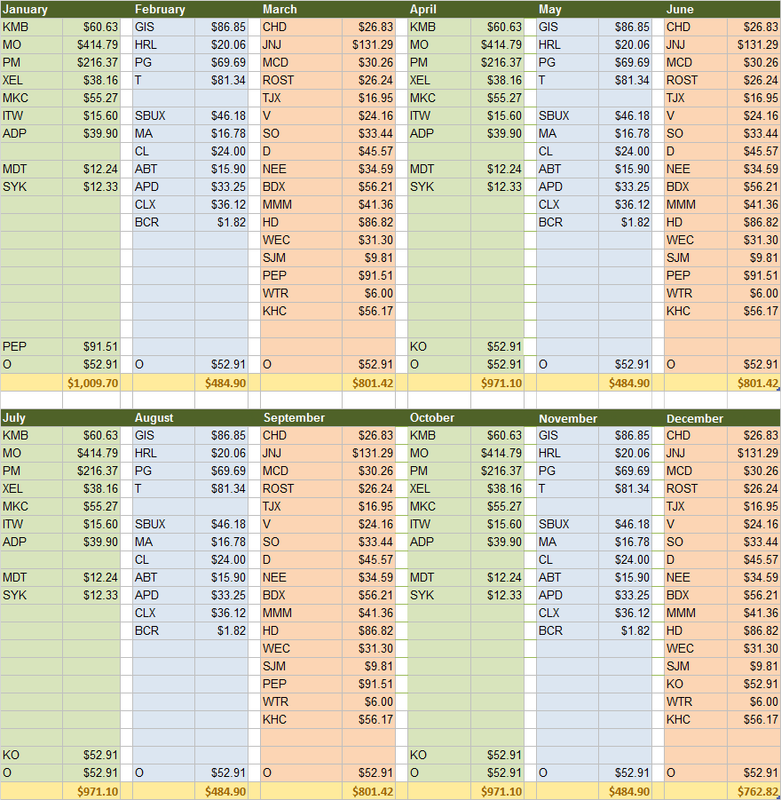 For comparison, last year's June my dividends were $475 and this month is $773. Most of this income growth is attributed to my continuous contributions into dividend paying companies every month. I track my future dividend for upcoming months using this chart that is available on my Dividend Calendar page. This week, my future dividends in January topped 4 figures for the first time ever. April July and October are close to crossing the $1000 barrier. I believe eventually, given enough time, all of the months in the year will have dividends in excess of 4 figures. And given enough time and letting compounding do its thing, 5 figures per month is also possible. Well done, that is fantastic, keep up the good work! Great job YD. I hit over $1k this month and it feels great! Think I have a shot at it in July as well...we'll see, but the progress is definitely happening. Keep it up! congrats to that awesome numbers. Your dividend income is on the fast lane...with four figures every month, FI is not that far away;-). 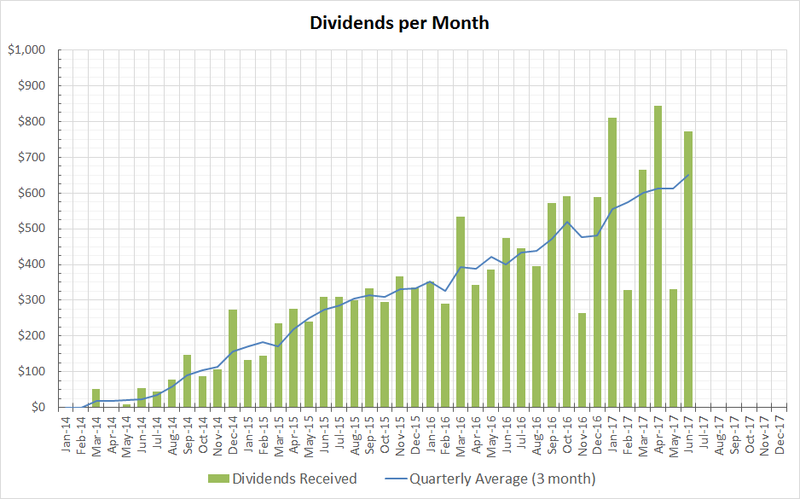 My dividend income in June was 288$. Pretty good month for you. Lots of nice dividend payments. Keep that snowball rolling! Very nice report Young Dividend. Soon you'll be consistently crossing 4 digits and the idea that 5 digits is within reach is amazing! I'm still in two digits slowly heading to cross the 3-digit threshold. Looking forward to more awesome reports.